The Capital Region is blessed with mountainous surroundings, both the Catskills and the Adirondacks, and places to hike. But if you're looking to change things up, the Mid-Hudson Valley is less than two hours from Albany. And one area there is particularly rich in good hiking. Over the few miles between Beacon and Cold Spring along the Hudson there are numerous trailheads for hikers at every skill level. Pack water, snacks, put on a good pair of shoes, and head south! A reminder: Any time you're hiking, you should be be prepared with proper footwear, clothing, gear, and water. Check the weather forecasts and trail advisories for the area you'll be hiking. And practice proper trail etiquette, including leave no trace. This article is no substitute for a map or guidebook. If you're looking to take a little stroll, have the kids with you, or just a limited amount of time, this is the perfect hike without sacrificing exceptional views. A one-mile loop showcases the bubbly shores of the Hudson River. Cross the railroad tracks over a bridge and hang right at the fork. Pause perhaps to take a picnic on the sandy shores. There is a small climb up the hill that will enhance the vista. On the way down there is a small cave. Before you know it you'll end up right where you began. 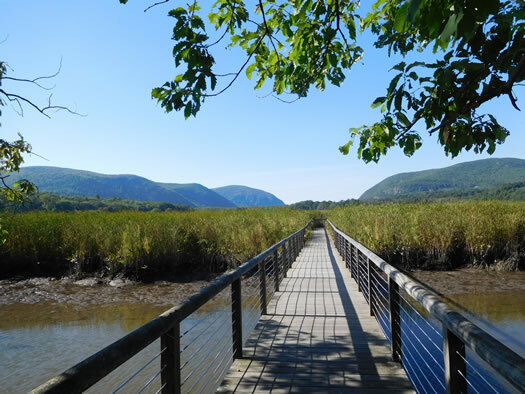 A short walk through the woods at Constitution Marsh opens up to a glorious boardwalk with views stretching into the Hudson Valley. (Two of the hikes on this list are in sight from this spot -- can you guess which ones? *) Walk slowly and savor your surroundings, there are less than two miles of trails here with a small amount of elevation gain. The marsh is full of life! In the shallow waters you may see frogs, grasshoppers through the reeds, and in the sky birds. Read the ecological plaques to learn more about the environment. Consider taking a guided canoe tour to see the marsh from a different perspective. Note that there is a small parking lot, so your best bet is to visit during off hours. This hike is for those who find allure in abandoned buildings reclaimed by nature. 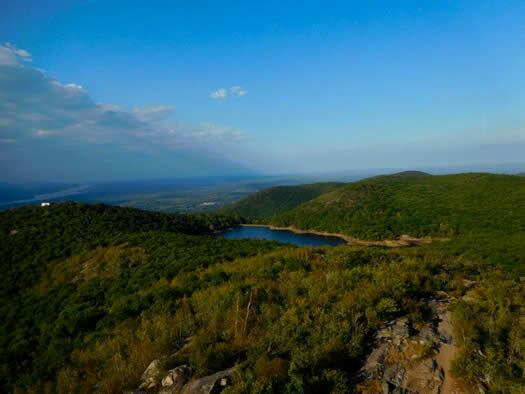 Hop on the blue Cornish Trail in the Hudson Highlands State Park (the white trail is much more strenuous leading to the summit of Mount Taurus - another great hike!]) and walk less than a mile before ruins begin to appear. Part of the trail is even paved, once the driveway leading up to the home. Find yourself exploring the different sections of this once-sprawling estate, imagining what would have gone where. Pool? Gazebo? Guesthouse? Servants quarters? The strong stone foundations give a few clues. 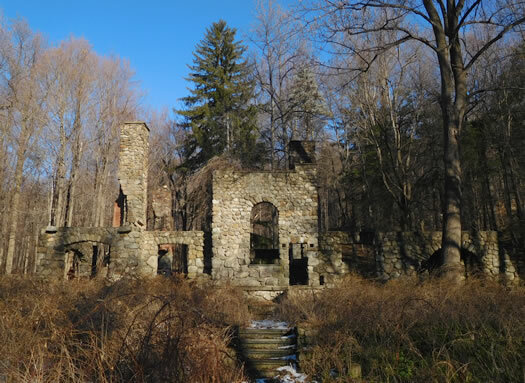 Continue on the trail next to Breakneck Brook for plentiful cascades and more secluded ruins. The parking lot is right across the way from Little Stony Point, consider combining both for a half day. Interested in mountain climbing? 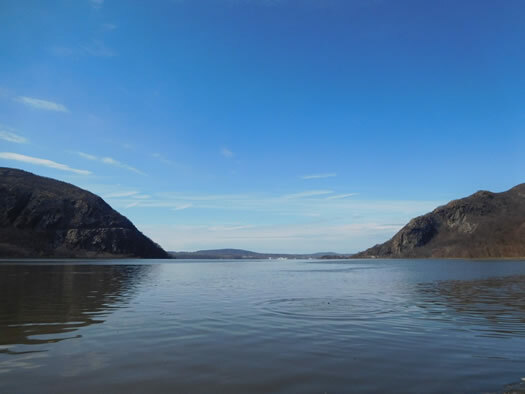 Storm King, on the west side of the Hudson, is a great place to start. Round trip the hike is 2.5 miles, but you will gain almost 900 feet of elevation. The initial ascent is the hardest part - the rest of the hike is relatively mild. Begin on the orange trail and enjoy the fruits of your labor, all that scenery. 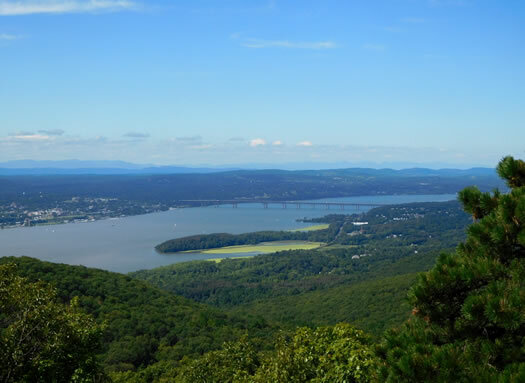 Catch your breath and feast your eyes on the rolling hills that saddle the Hudson River. Sweat it out until the trail dead ends, turn right uphill and continue on yellow. The views keep coming - each more beautiful than before, and at last you will summit the mountain. Stay on the yellow trail as you begin heading down, when you hit the white trail it will bring you back to the parking lot. Mere minutes outside the lovely city of Beacon on the east side of the Hudson is the city's phenomenal namesake mountain. This is an out and back, take the red trail up the stairs, then trade the steps for switchbacks and continue trekking up. There used to be a much easier way to get up this mountain. In the early 1900s the Mount Beacon Incline Railway was the steepest funicular in the world! You can see ruins as you reach the vista, also of the casino that once sat at the summit. So Mount Beacon is not just a pretty face, it's rich in history too... but that view is indeed astounding. If you turned around at this point you'd have hiked 2.5 miles roundtrip with a 1,000 foot elevation gain. A mighty hike and unique to boot. If you're looking to go a bit further and higher, take the white trail and you can reach a fire tower. This hike is 4.5 miles roundtrip with 1,500 foot elevation gain, totally worth it if you have the time and energy. 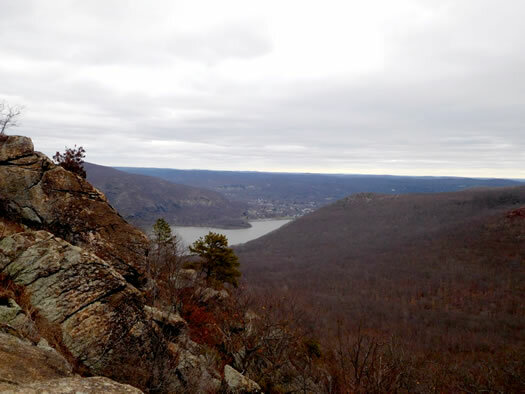 Breakneck Ridge in the Hudson Highlands State Park is one of the most popular trails in the region, with good reason. This is a great introduction to rock scrambling -- it's challenging, but manageable. (Quick tip: always maintain three points of contact with the surface for safe climbing.) You can create a 3.7-mile loop by taking the white trail up to the flag post boasting incredible views. There is more where that came from. Keeping heading upward and onward past more overlooks and onto the red trail. Here you will level out and start your descent on the yellow trail through the relaxing woods and eventually, back out on to the street. The lot is just a few minutes up the road from Little Stony Point and the Cornish Estate Ruins if you're feeling ambitious. Perfect weekend post. I'm wondering if Mount Beacon is dog friendly? This is the perfect read to get oneself through a Friday. Planning tomorrow's adventure on company time. Thank you so much! Breakneck is worth it if only to watch the downstaters who decided to wear flip-flops struggle. Good list. 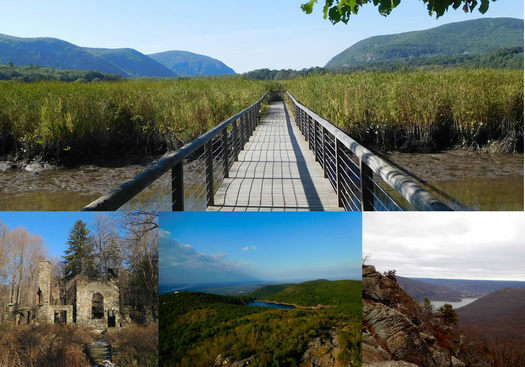 Those are some great hikes in the mid-hudson valley.I proposed to my beautiful wife on Breakneck years ago gourgeous views.